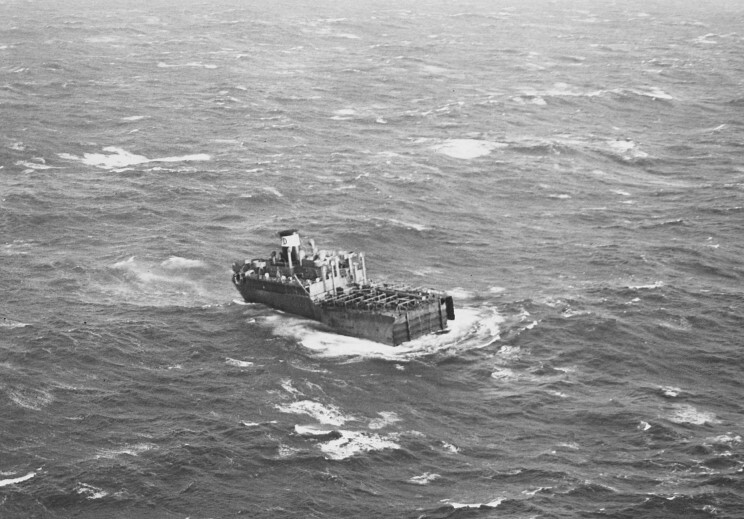 March 12, 1947: The bow section of the tanker Fort Dearborn after breaking in half northwest of Honolulu, Hawaii. This half of the ship was sunk by gunfire. 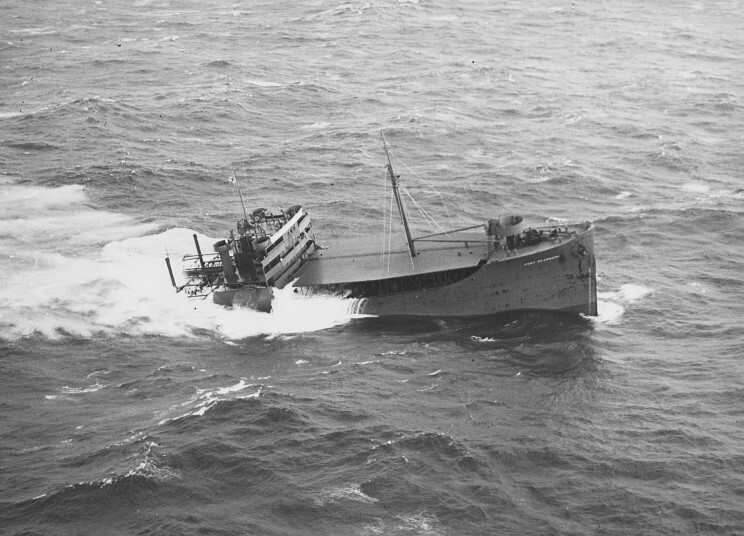 March 12, 1947: The stern section of the tanker Fort Dearborn after breaking in half northwest of Honolulu, Hawaii. This half of the ship was sold to Hilo Electric Light Co. and used as a power plant until 1952.